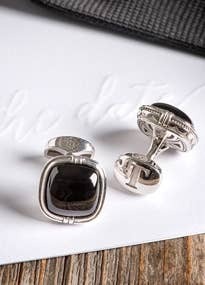 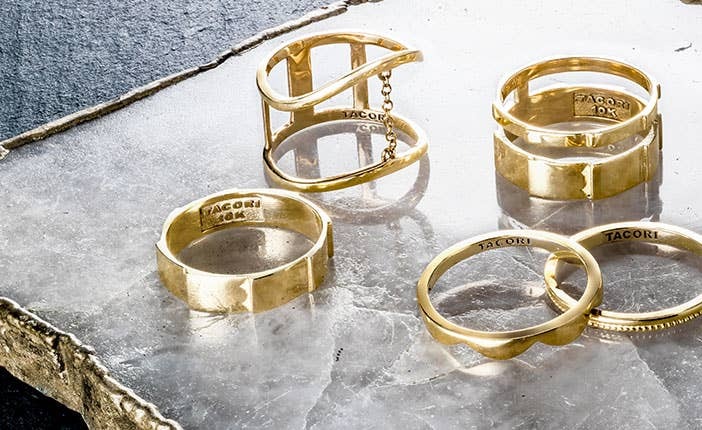 Unique with their own defining details, yet tied together with the signature crescent fabric on the inner face of each ring. 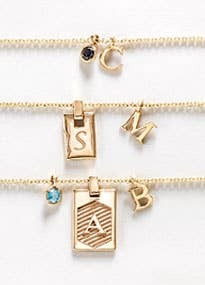 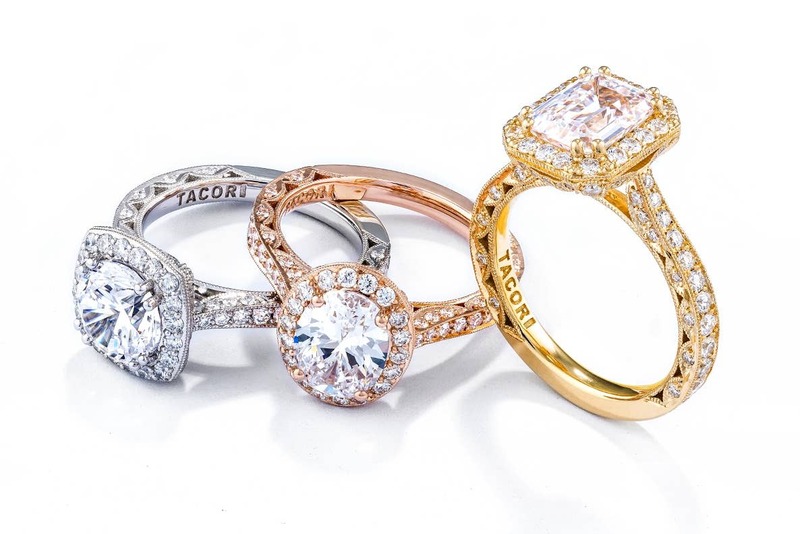 Defined by Tacori's signature crescent design element, this is the collection that started it all. 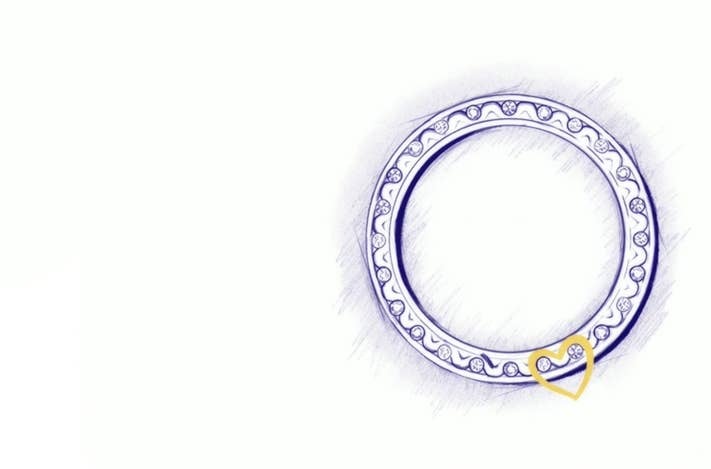 Did you know that a heart shape form is embedded within our designers' innovative vision for the signature crescent? 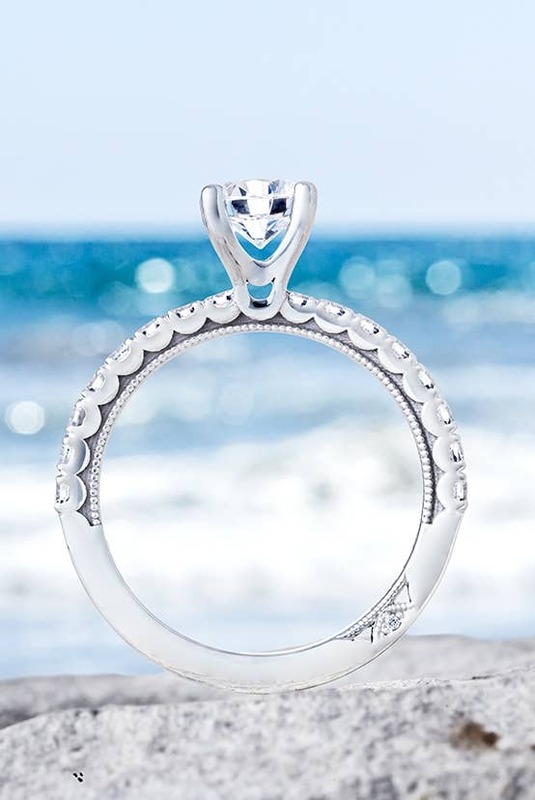 The top scalloped portion of the heart creates the shape for the crescent pattern, creating a hidden symbol of love. 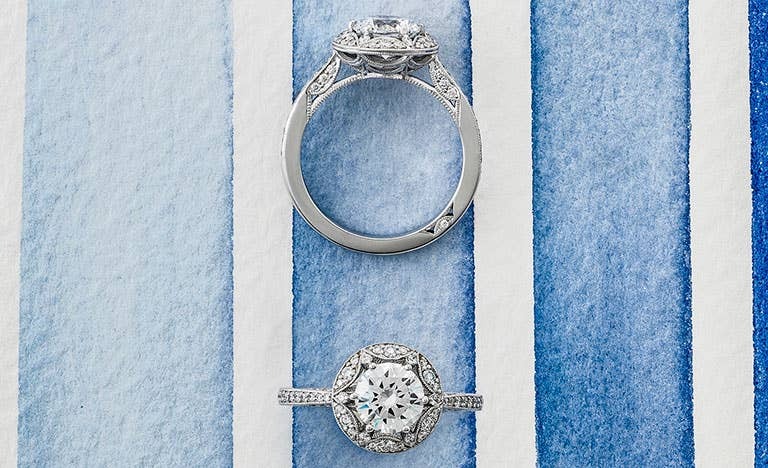 A refined collection with a softer, smaller Classic Crescent detailing. 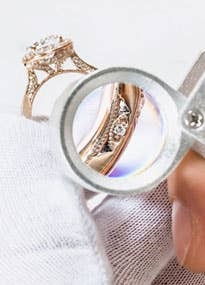 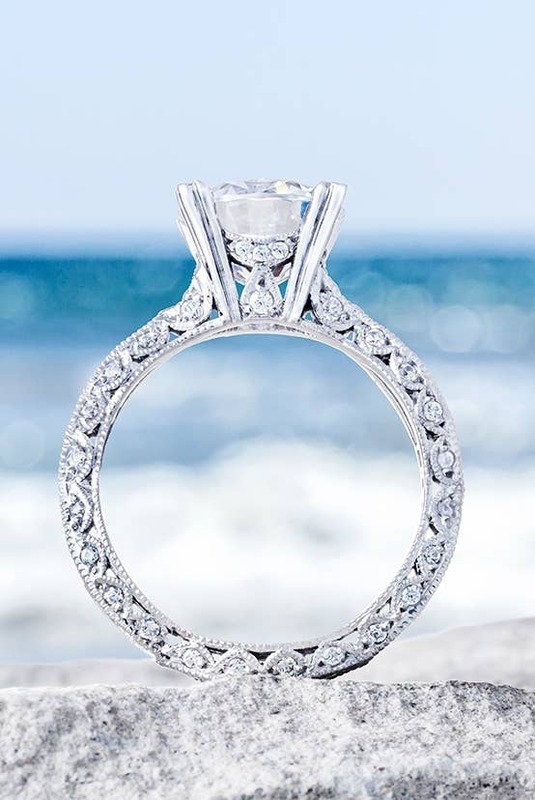 With a French-cut setting, there is less metal with a more diamond intense look, allowing your center diamond and the diamonds along your band to be even more brilliant. 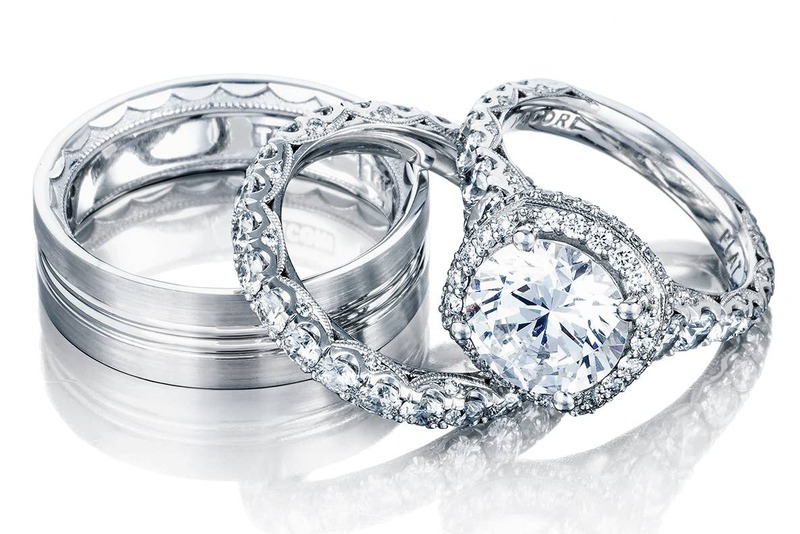 Contemporary and minimalistic with an heirloom flair. 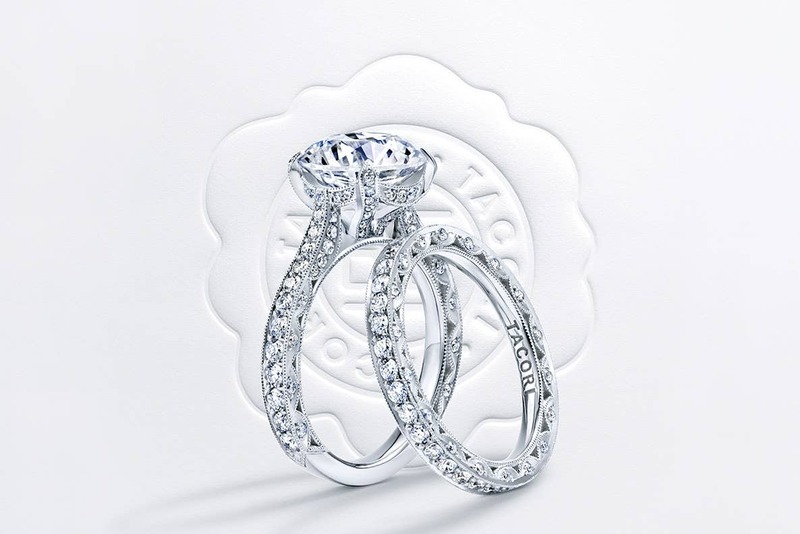 It transforms Tacori’s signature crescent into modern design elements on the inner face of each ring. 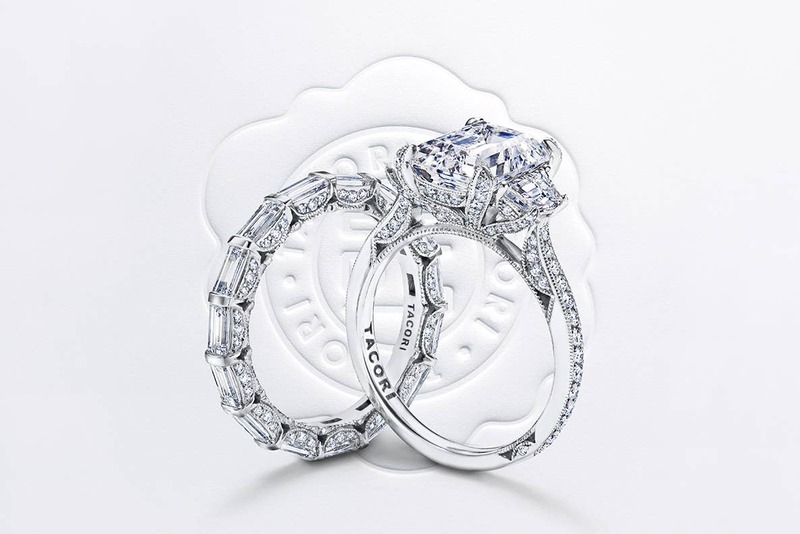 This ring is for the modern girl with a classic style. 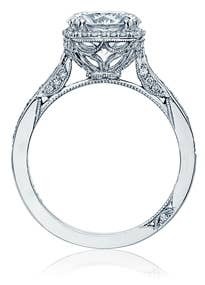 The name Dantela translates to “lace” in Romanian. 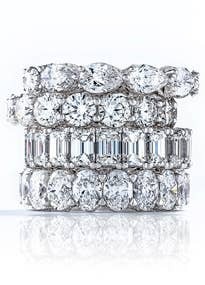 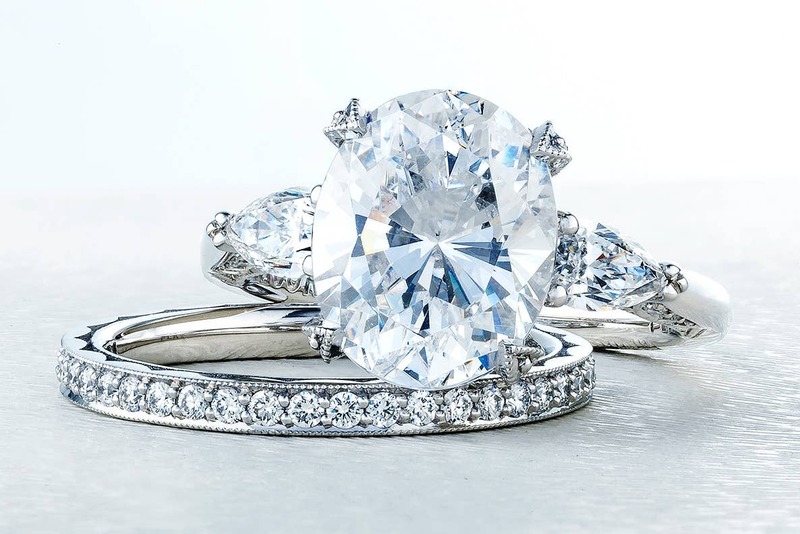 The RoyalT engagement rings are a regal collection designed to accommodate center diamonds 2ct and larger, and are available exclusively in Platinum as the preferred white metal. 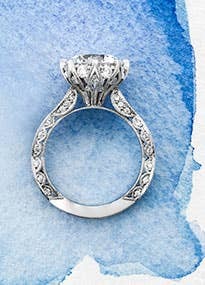 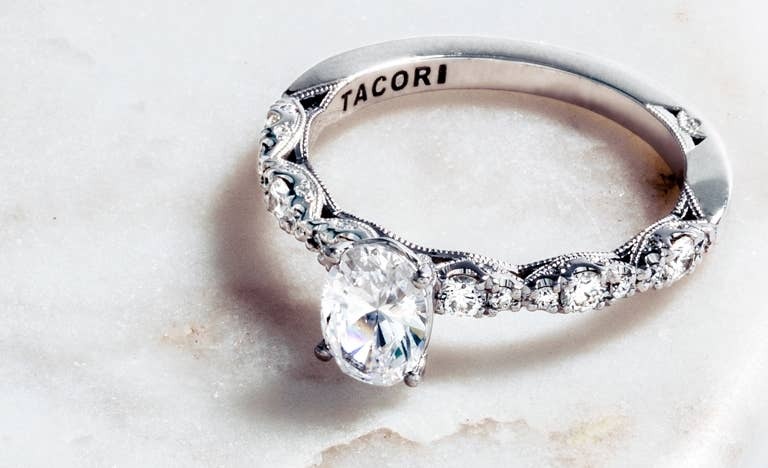 Unique Tacori Take on the Solitaire. 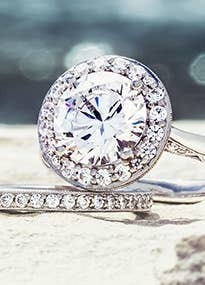 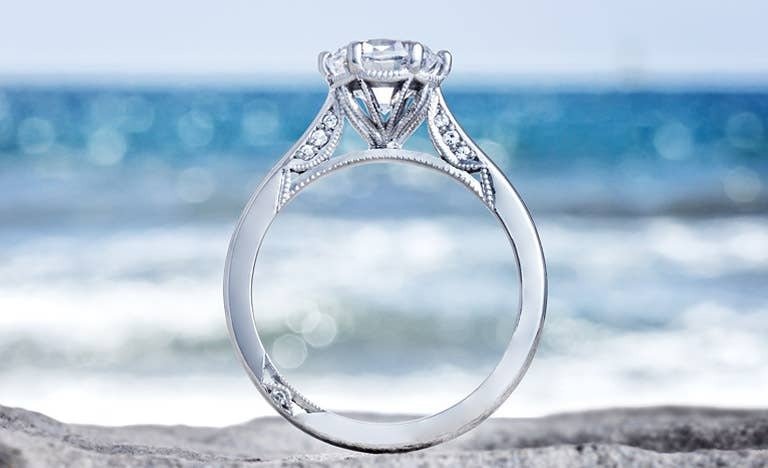  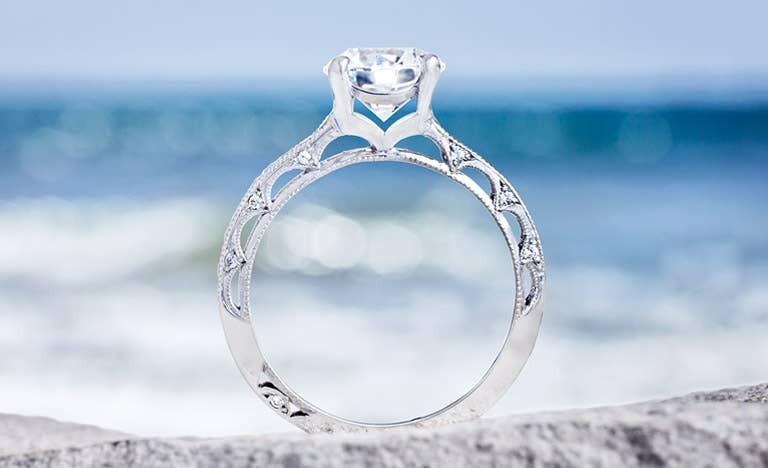 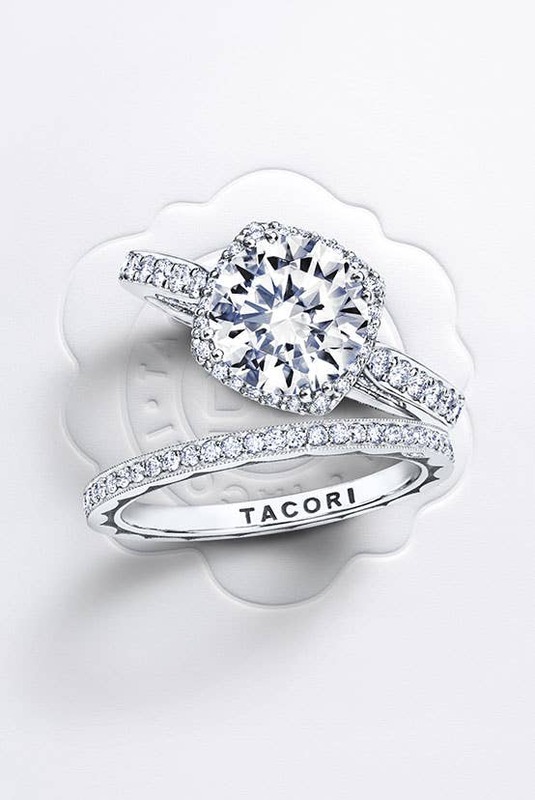 Meet the next Tacori icon. 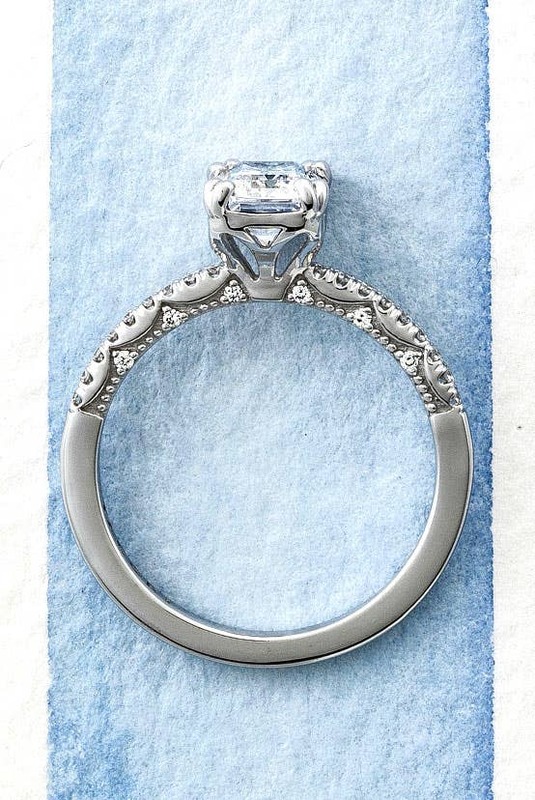 Look to the ceiling of the ring for the new Chandelier Crescent design. 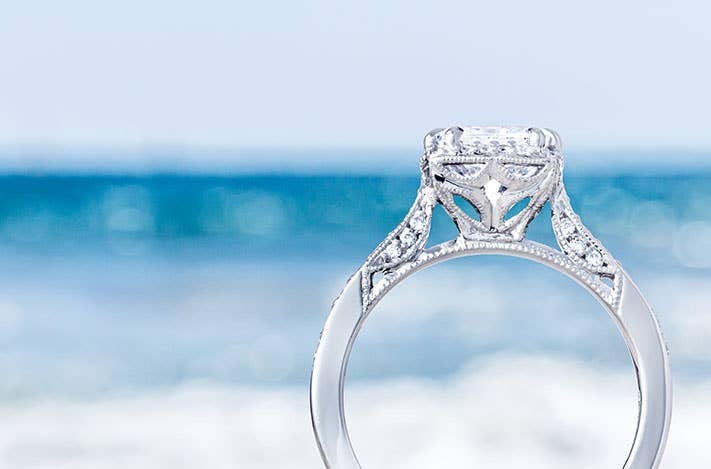 The Iconic Crescent Fabric has added beauty to the inner face of Tacori rings for more than a decade, and now, for the first time, our Iconic Crescent is debuting on the aerial perspective of the ring embracing the center diamond. 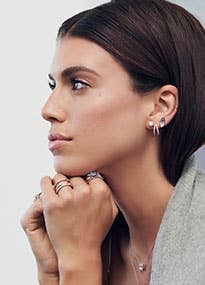 Bringing soft crescent details to an all-metal inner face. 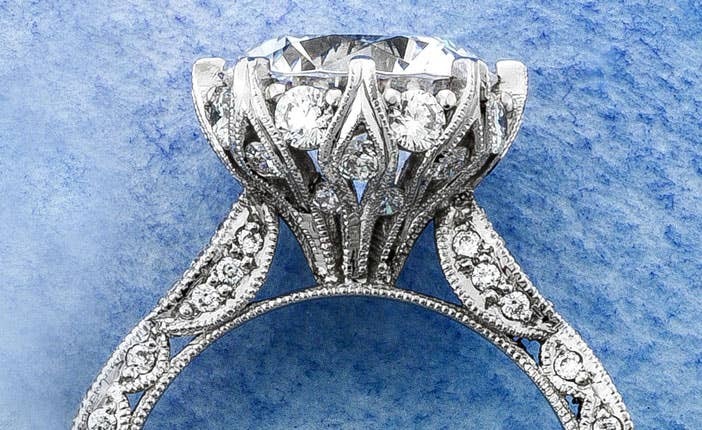 The open arcs within the inner face of the ring illuminates the diamonds to create a lace-like crescent effect. 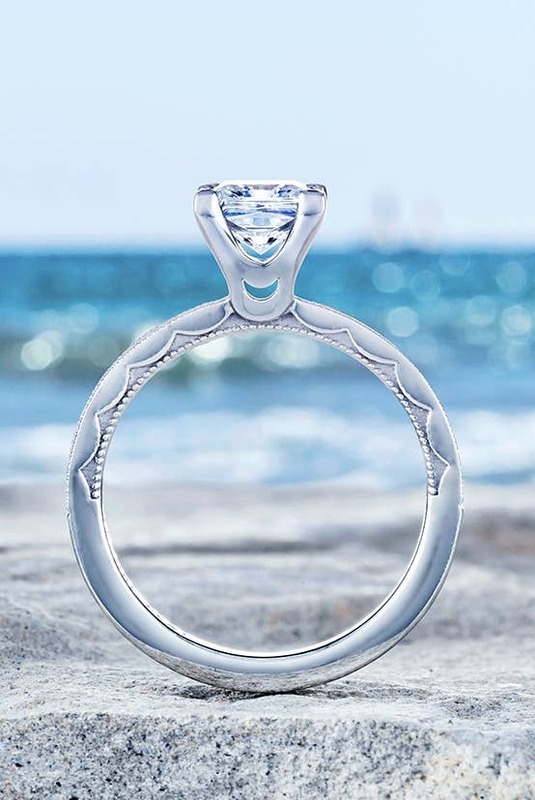 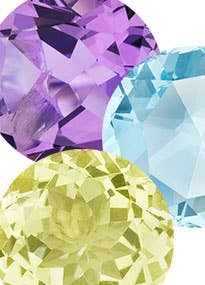 Diamond intense with clean lines.